At Odyssey Montessori School, our aim is to provide a nurturing and enriching environment designed to meet the developmental needs of children 18 months to 6 years old. The Montessori environment supports and assists children in their growth and development of practical, intellectual, physical, and social skills. We are committed to providing an opportunity for each individual child to continue their innate love of learning and to make education a joyful process. Odyssey Montessori School embodies the educational principles established by Dr. Maria Montessori through her observations of how children develop and learn. We hope that our site gives you an insight to what a Montessori education has to offer your child. Come and visit our school to get an even better idea of how the children spend their day in their environment. Eagerly engaged in their chosen activities, socializing in “grace and courtesy” and developing skills for their future – independence, concentration, confidence in their abilities. Registration is accepted throughout the school year. We welcome all interested parents to come and visit the school. 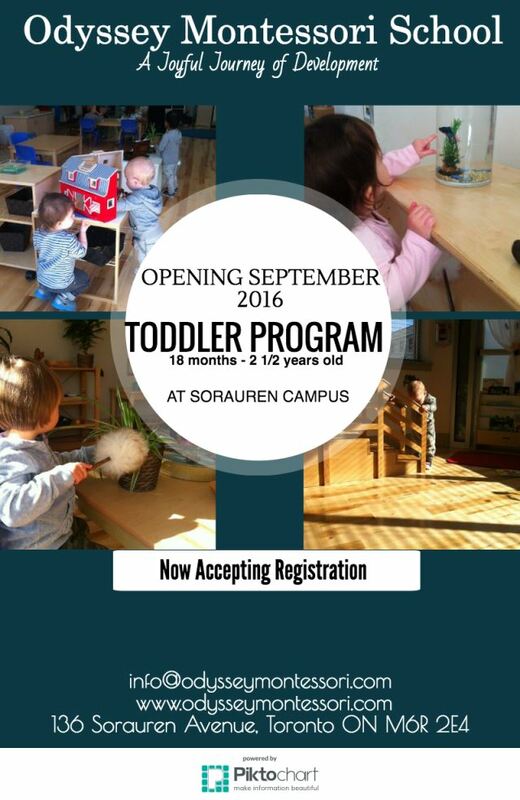 For more information or to arrange a tour of the school call the office 416-535-9402. The admission procedure is posted on our website. Odyssey Montessori is an accredited CCMA Montessori school. 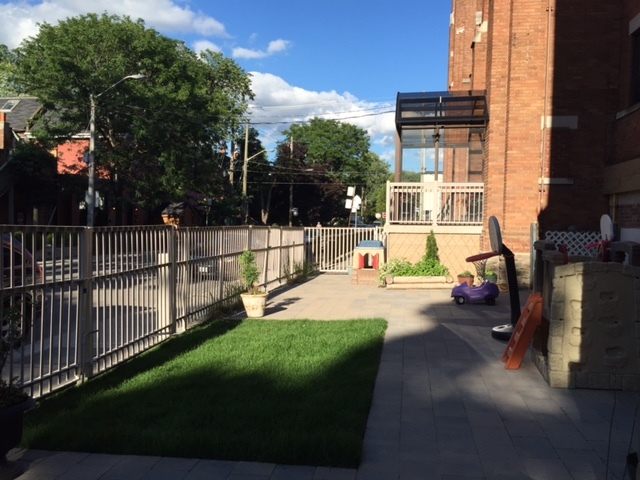 Our outdoor play area. Both Christie and Sorauren Campuses have a natural playground with a beautiful stone surface as well as an area with grass. We also have shrubs and a planter for children's gardening. Book A Tour: Click Here!